For areas such as California and Arizona with sod needs for summer temperatures that soar into the 90's and 100's, and with less rainfall. 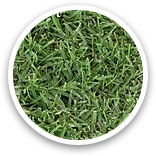 Bermuda and paspalum grasses are very water friendly, so they're ideal for use in areas with drought conditions such as Arizona and California! Smart watering of warm season grasses makes them responsible choice, and are safe and fun for heavy play by your kids and pets. 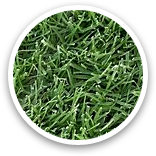 It's also the grass of choice for professional sports fields due to it's hardy resilience to foot traffic. 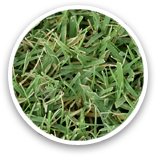 Warm season grasses do require winter overseeding if year-round green color is desired, as they become dormant during cold winter months. Or for even more water conservation, skip the cost of both rye overseeding and winter watering by using our Endurant TE™ turf paint. Ask one of our customer service experts about this new and exciting (and all natural!) technology. Read more on the water saving benefits of warm season grasses in these articles from the experts at the University of California: "The California Drought & Landscape Water Use" and "Managing Turfgrass During Drought". Great for your home lawn or sports field. 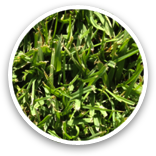 Wide range of mowing heights, and low, dense growth habit make it one of the most versatile hybrid bermudas. It's a drought tolerant and a low water using turfgrass. The easiest lawn ever for your Arizona home--even nicknamed "the lazy man's grass!" It's a drought tolerant and a low water using turfgrass. EXCEPTIONALLY tough, has virtually no seed heads, and resists scalping. 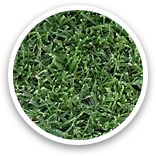 The fine texture, and beautiful dark green color make it a popular choice for golf course tees and fairways. GREAT durability, beautiful dark-green color, and recuperative abilities. It's a drought tolerant and a low water using turfgrass. GREAT durability, beautiful dark-green color, and recuperative abilities, overseeded on the farm for winter green. 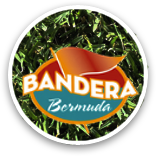 California's ONLY certified bermuda, for use on sports fields, lawns, golf course tees, fairways, and roughs. 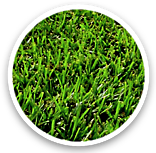 Our newest variety of bermudagrass for golf courses, sports fields, parks, & home lawns. 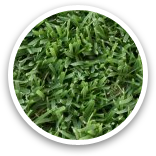 Wide range of mowing heights, and low, dense growth habit make it one of the most versatile hybrid bermudas. 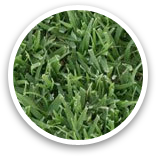 Santa Ana is one of the most drought tolerant hybrid bermuda grasses, with a short dormancy period.